Sue Kye is responsible for overseeing operational functions at Acuity. Collaborating with the executive team, she cultivates and implements opportunities and strategies for growth and provides executive oversight to sales and services delivery excellence. Ms. Kye is a results-oriented consulting professional with a proven track record of managing HCM consulting delivery services for over 17 years. Ms. Kye began her career in an executive search firm and then joined KPMG where she implemented first generation applicant tracking system, supported ERP integrations and also gained experience with core HR processes and policies. Ms. Kye then joined Taleo consulting practice and over the course of 11 years, successfully implemented and delivered project management for high-profile Fortune 2000 global organizations across many industries in more than 70 countries worldwide. She also served in managerial roles at Taleo, leading teams focusing on conversion of Taleo acquisition system, Vurv to Taleo talent management platform, as well as, overseeing major Taleo recruiting upgrades and migrations for the North America client base. In recent years at Oracle, with acquisition of Taleo, Ms. Kye served as Director of Consulting and managed the HCM Cloud Portfolio team and consulting delivery in North America East Region. 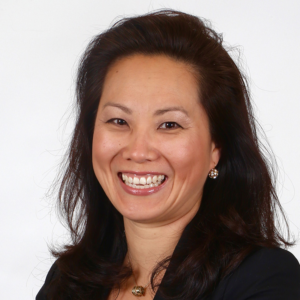 After 14 years with Oracle/Taleo, Ms. Kye joined Acuity as Chief Operating Officer, serving as a partner to Oracle. Read more on Sue’s LinkedIn Profile.